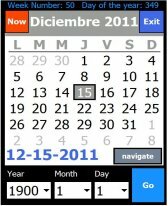 calendar freeware downloads for Windows Mobile Phone. 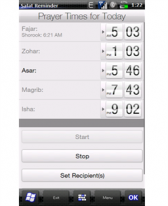 Stopwatch for Windows Mobile is a compact stopwatch applicat. 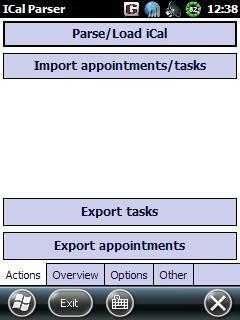 This is a today screen plugin displaying a clock with big nu. 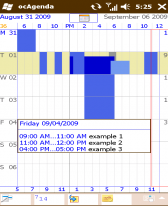 rlToday is a multi purpose plugin for the Today Screen of yo. 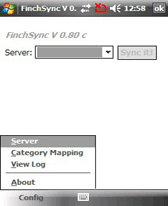 OggSync offers full, two-way syncing from your phone to one . 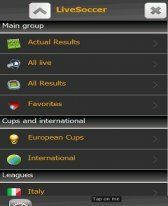 Summary: FootballInformer is an WM app provides football/soccer real time score for most of the soccer/football leagues worldwide. 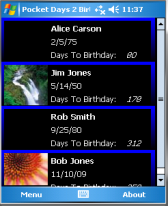 Summary: Quick summary for upcoming birthdays.